Hatsune Miku, Hello Kitty, Pac-Man, and Heihachi Mishima join the fray. 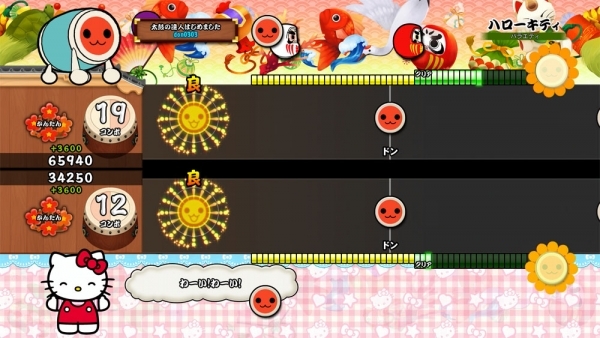 Bandai Namco has released new information and screenshots of Taiko Drum Master; Drum Session! 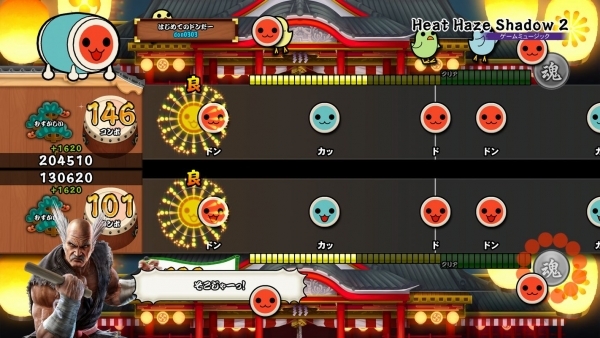 detailing Taiko Ranked Matches, additional performance modes such as Best Replay Performance and Training Performance, the latest confirmed characters to appear in Guest Session Performance mode, and an updated list of songs. 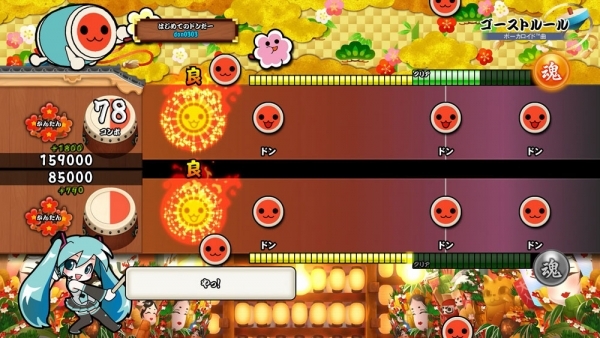 “Taiko Ranked Match” is a mode in which players will try their skills against other players all around the country. Since you’re matched with the performance data of other players based on your skill, your rank will rise as you win and aim for higher ranks. By first performing the 5th rank certification battle, you will be certified for the beginning rank. 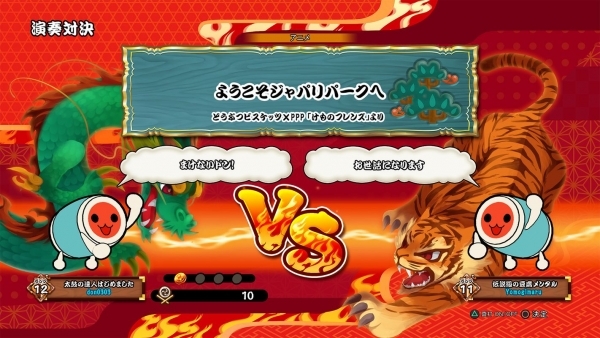 You will then be matched with opponents based on your own skill, and perform against the performance data of other players. You will win by surpassing your opponent’s score in a performance. 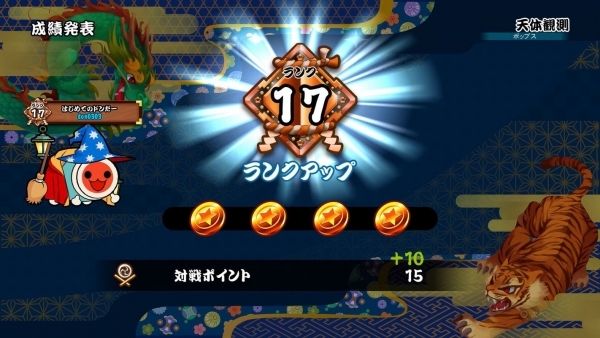 By winning, you’ll earn a “Kachiboshi Medal” (a medal indicating your victory), and you will rank up by building up a collection of said medals. 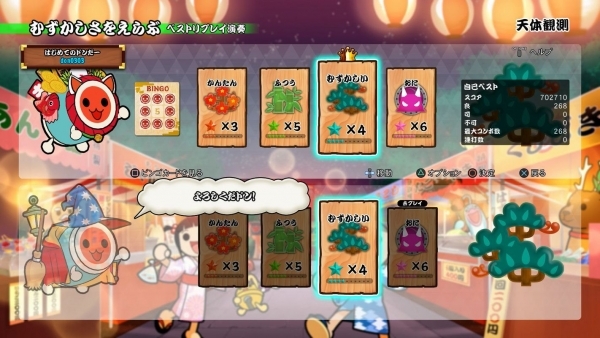 Additionally, by playing Taiko Ranked Matches, you’ll receive “Match Points.” The rankings of Match Points can also be checked. It should be noted that in order to play Taiko Ranked Matches, an Internet connection and Sony Entertainment Network account are required. However, a PlayStation Plus subscription is not required. “Best Replay Performance” is a score attack mode that matches you against your personal best score. Your best score data is played back on the bottom lane, and since you can find out at which points you made a mistake, you can discover at which spots you need improvement. Practice and practice to increase your score. “Training Performance” is a training mode that lets you speed up, rewind, change speed, and so on as you like in order to train at spots in which you might need improvement. Train and train in order to gradually take on higher difficulty songs. 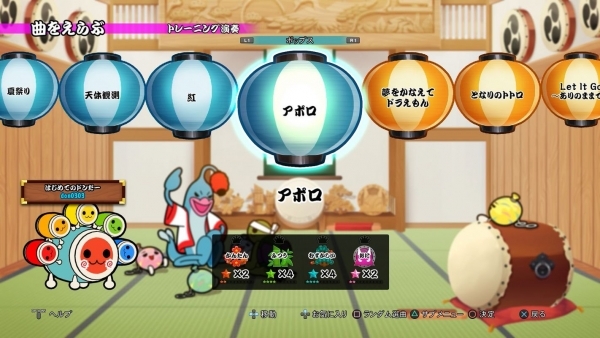 “Guest Session Performance” is a new element in Taiko Drum Master: Drum Session! It allows you to enjoy performances together with popular characters. 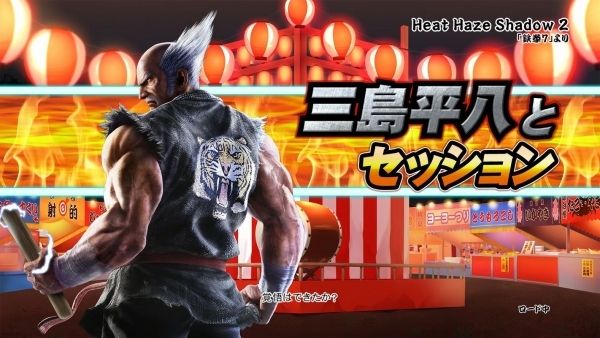 We previously saw Doraemon, but this time we will take a look at Hatsune Miku, Hello Kitty, Pac-Man, and Heihachi Mishima. 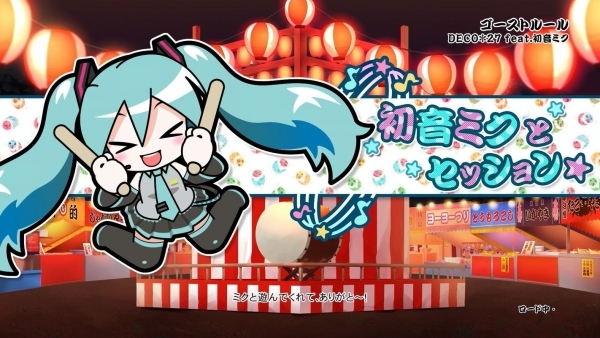 Enjoy a Guest Session Performance with Hatsune Miku in songs “Ghost Rule” and “Alien Alein.” Watch as Miku strikes the drums. 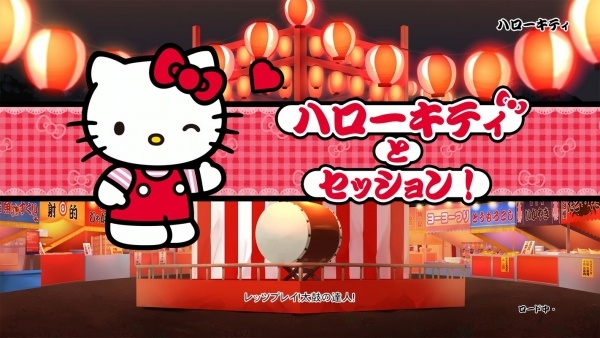 Enjoy a dream session with Hello Kitty. Be sure to pay attention to her adorable gestures. 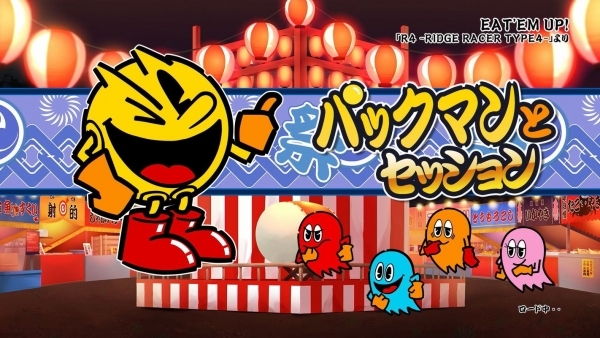 Enjoy a Guest Session Performance with Pac-Man in the song “Eat ‘Em Up.” Nostalgic scenes may also appear. Taiko Drum Master: Drum Session! is due out for PlayStation 4 on October 26 in Japan, and in Asia with English subtitles in 2017. 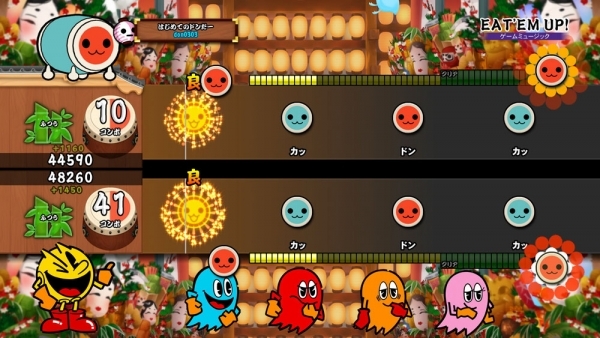 PlayStation 4, Bandai Namco, Rhythm Games, Screenshots, Taiko no Tatsujin: Drum Sesssion!